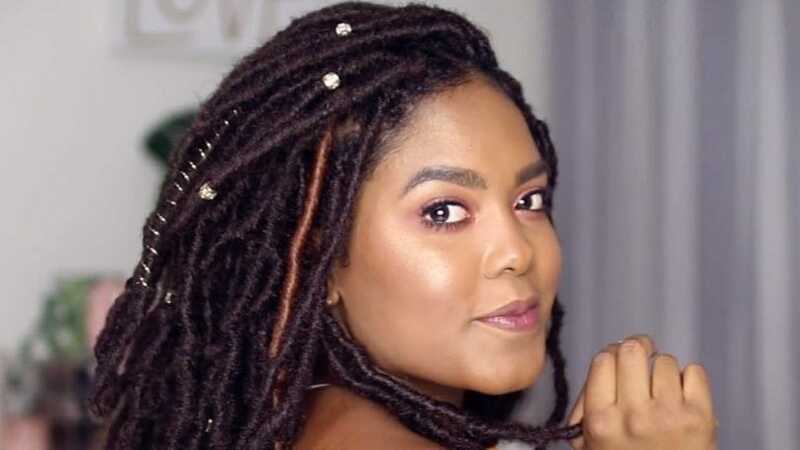 Do you remember when we were mesmerized by the faux goddess locs on Crystal Edwards that she did all by herself? 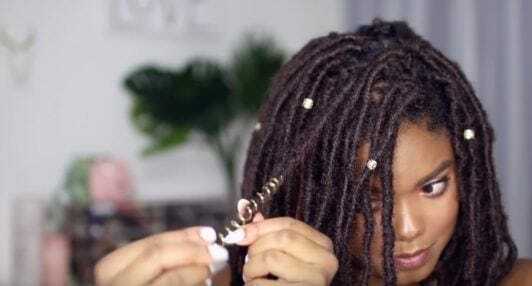 Well, we have a treat for you: Mini Marley is giving a demonstration on how you can create a crochet faux locs hairstyle right at home. We’re pretty sure you’ll be very fascinated at how simple the process actually is because we certainly were! 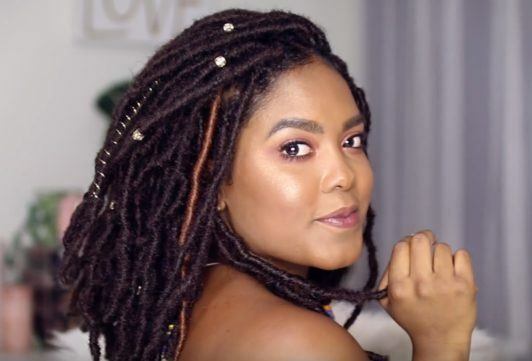 To start your faux dreadlocks style, use a moisturizing product to help soften your hair before braiding. 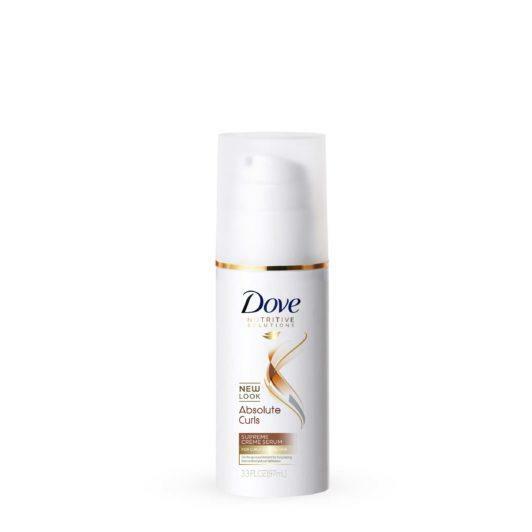 Use a product like Dove Absolute Curls Supreme Creme Serum or Suave Professionals Define and Shine Serum Gel on each section of hair before braiding. 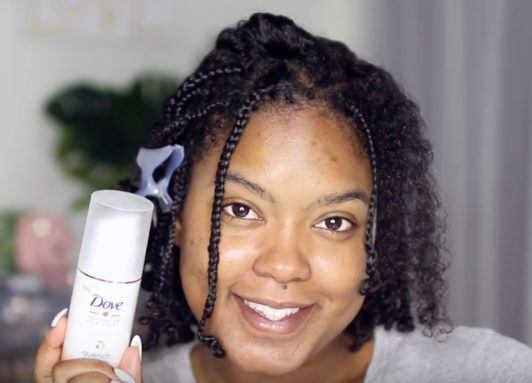 Create small braids all over hair. 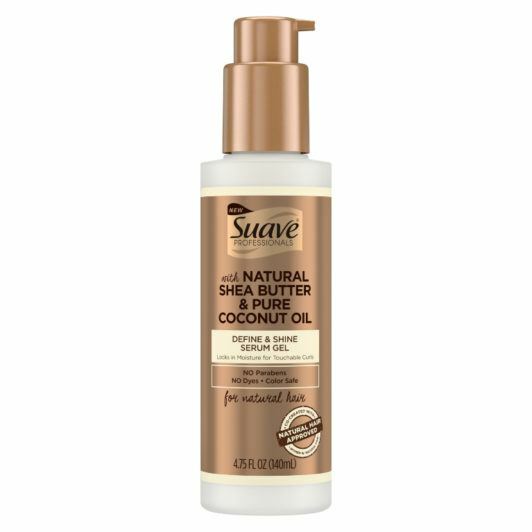 After applying the cream to your hair, use a comb or brush to smoothen and detangle each section of hair prior to braiding. This will help make the process easier. Create small braids all over your hair and be sure to braid your hair all the way down to the ends. 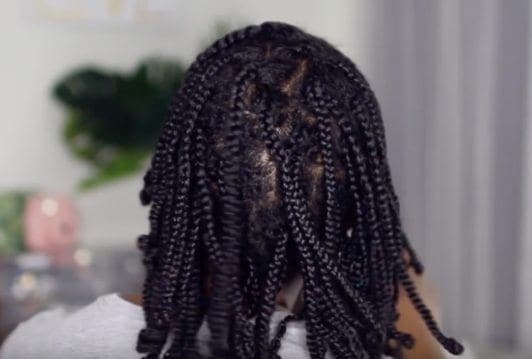 Once you’re done with creating your braids, it should now look something like this. 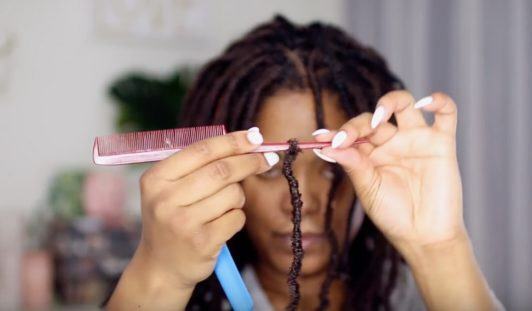 Take a batch from your packet of faux dreadlocks and remove just one strand. 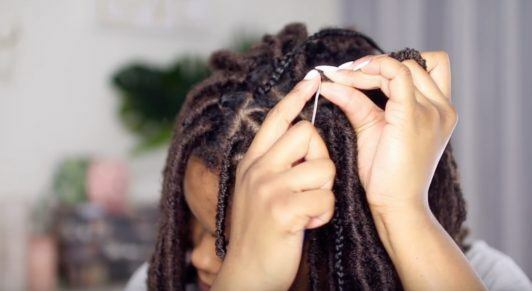 Loop a hole in your dreadlock extension. Take your dreadlock extension and create a hole at the very tip using the end of a rattail comb. If you don’t have a rattail comb on hand, you can use anything that will help you make a hole in the extension. Hook braid with faux dreadlock. 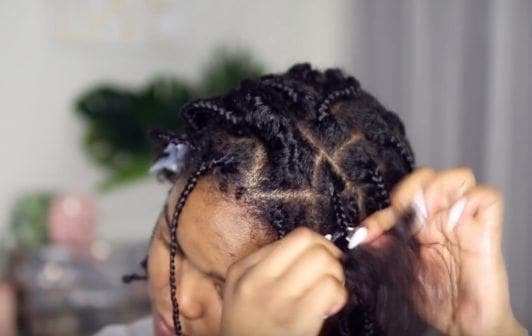 Using a crochet needle, hook the loop you created with the rattail comb and then latch it onto the base of your braid. 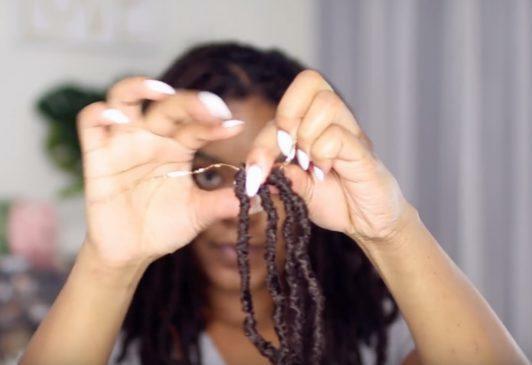 Take your dreadlock, unravel it and wrap around your braid from root to ends. Repeat this step for each section. Now it’s time for the fun part! Accessorize your dreads to jazz up the style. You can use gold wire found in any arts and craft stores. Simply cut a piece of wire and wrap it around your dreadlock. Want more accessories? Go for it! With this style the more the merrier. Plus, if you’re wearing it for a long time, why not refresh the style with new accessories. 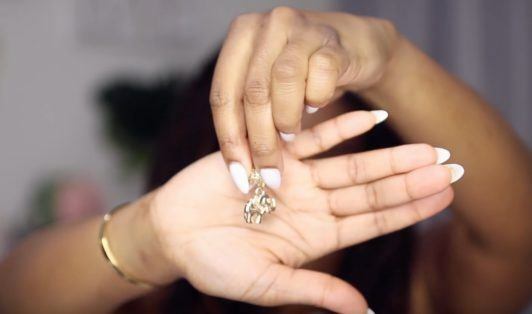 You can use hair charms with hooks and attached them to your locs or use a hairpin to secure them in. There you have it! 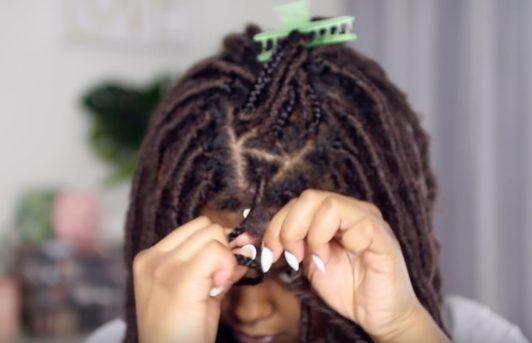 We love how Mini Marley made this tutorial super easy. Have fun with the look: You can buy any color hair you want to make the style more interesting too! 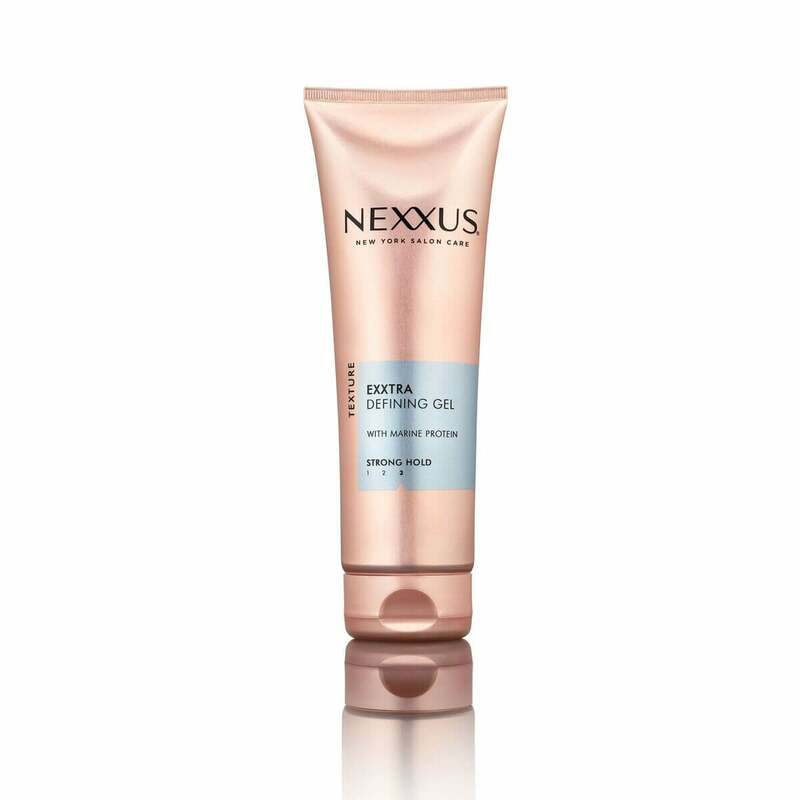 If you ever need to retwist any sections, use Nexxus Exxtra Hold Sculpting Gel to help you lock hair in place. 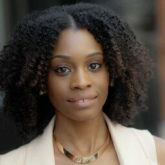 More protective styles to love!